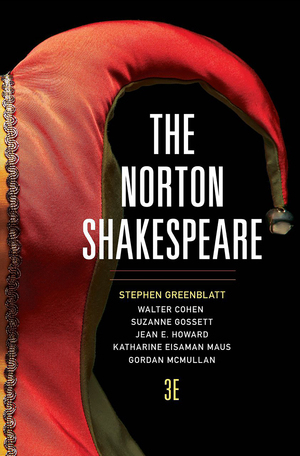 The enhanced digital edition of The Norton Shakespeare, Third Edition —the first edited specifically for undergraduates—provides a freshly edited text, acclaimed apparatus, and an unmatched value. Both an enhanced digital edition—the first edited specifically for undergraduates—and a handsome print volume, The Norton Shakespeare, Third Edition, provides a freshly edited text, acclaimed apparatus, and an unmatched value. The twenty-one most-assigned plays and all of the sonnets in a compact, value-priced paperback, freshly edited by an international team of leading scholars. Debuting both as an enhanced digital edition—the first edited specifically for undergraduates—and as a handsome print volume, The Norton Shakespeare makes it possible for students to have a deeply rewarding reading experience on screen or on the page, all at a great value. Instructors can use the features that enhance both the print and digital editions to convey a rich sense of the texts by Shakespeare as written, revised, and performed. The Norton Shakespeare brings to readers a meticulously edited new text that reflects current textual-editing scholarship and introduces innovative pedagogic features. Created by an expert international team of textual editors, the digital edition offers early authoritative texts for each of Shakespeare’s works in editions free from excessive emendation and intervention. The digital edition makes available 17 additional fully glossed and annotated versions of the plays. The print edition includes one text of every play and poem, but continues the Norton Shakespeare signature of including multiple texts of King Lear and, now, Hamlet. •	A lively and accessible new General Textual Introduction by Gordon McMullan (King’s College London) and Suzanne Gossett (Loyola University Chicago) explores the central question “How authentic is the text I am reading?” and looks at how theatrical play-scripts moved through the burgeoning book trade to become printed texts. •	“The Theater of Shakespeare’s Time,” a new essay by Holger Schott Syme (University of Toronto), paints a colorful picture of the city “where theater was everywhere” and of the playwrights, players, investors, government censors, spectators, and playhouses that comprised the flourishing theater business. The digital edition features all of the texts, introductions, glosses, and notes in the print book, plus additional versions of many texts for comparison. Students are able to compare the Folio and Quarto texts of King Lear and scenes from other plays using an innovative side-by-side scrolling view option. Students can also compare the text to corresponding facsimile pages from the Hinman First Folio and from the quartos. Performance Comments highlight how a director or actor’s choices in performance affect meaning, while Textual Comments focus on the impact of textual-editing decisions. Students can also listen to recordings of all of the songs in the plays and over 8 hours of specially recorded spoken-word audio by the highly regarded Actors from the London Stage. The digital edition also includes an appendix of documents, maps, genealogies, bibliographies, and a timeline.